There is nothing more painful than losing a pregnancy in the second or third trimester. So many milestones have been reached by this point and a mother has developed this beautiful bond with the child growing inside her womb, but sometimes nature takes a wrong turn and a pregnancy ends naturally at a point when that danger is supposed to have already passed. Late pregnancy loss, while uncommon, could be a sign of future pregnancy risk. According to a study published in the American Journal of Obstetrics & Gynecology in 2007, yes it could happen again. Late pregnancy losses tend to lead to increased risk of recurring late pregnancy losses; an increased risk of more than 10 times the normal rate. There was no mention of cause-dependent pregnancy loss in the research study, but common sense leans toward an answer of YES. If the cause of the late pregnancy loss was determined to be medical in nature and the medical condition was resolved, pregnancy loss risk could be reduced. There are other factors as well that may contribute to late pregnancy loss, including drug use, alcohol abuse and injury. In these cases, subsequent pregnancies may not be at increased risk of loss. Are There Other Potential Complications? If a pregnancy was lost in the second or third trimester it may not lead to a total loss in a subsequent pregnancy. Researchers noted that some women experienced preterm birth. Some premature labor can be stopped with medical intervention and/or hospitalization, but doctors cannot stop all premature deliveries. Women who’ve experienced late pregnancy loss need to be monitored closely for signs of labor. 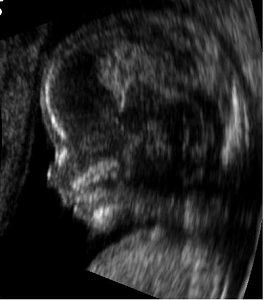 Ultrasound can be used to ensure fetal health and well-being. Prenatal visits may need to be scheduled more frequently than the normal pregnancy schedule for optimal outcome. Reference: Andrea G. Edlow, Sindhu K. Srinivas, Michael A. Elovitz. American Journal of Obstetrics & gynecology. December 2007. Previous: What is an Ovarian Pregnancy? Next: What is a Ruptured Ectopic Pregnancy?